Another slide that's rather hard to pin down today, what with renaming of streets and superhighway construction. 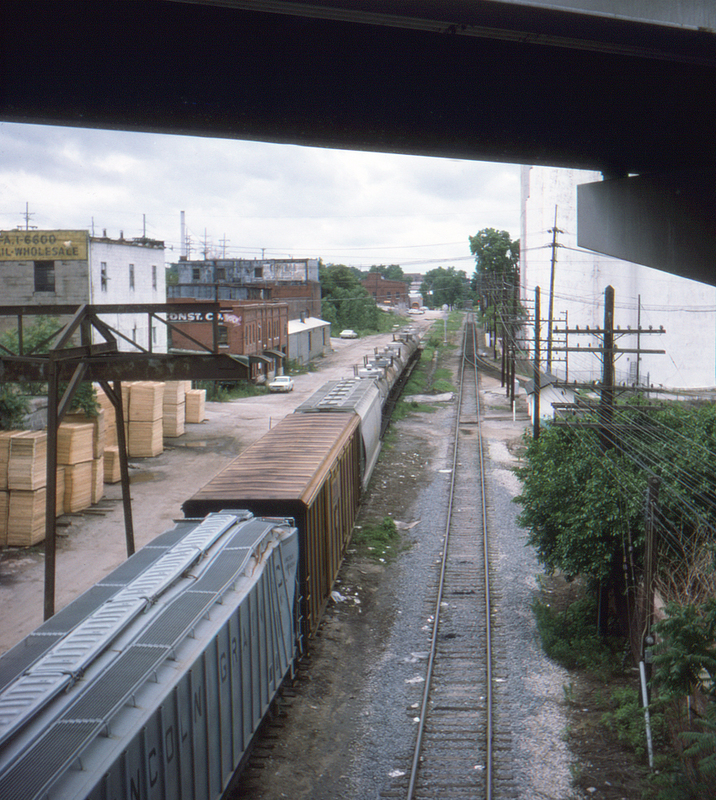 This should be the Missouri Pacific, looking north from the Minnesota Avenue bridge; off to the right would be Union Pacific trackage, here unseen. In any case, the hopper at lower left has definitely seen some hard usage.